Northern Cochise Community Hospital provides a 24-hour a day, seven days a week, board certified physician staffed emergency department with specially trained nurses and ER techs. Our emergency department was state certified as a Level IV Trauma Center on December 4, 2008. In 2018, the emergency department became re-certified as a Level IV Trauma Center for the third time. A Level IV Trauma Center provides the important first steps in the care of a trauma patient: initial evaluation, stabilization, diagnostics, and when appropriate, transfer to a higher level of care. The State of Arizona, along with many others, has formed this trauma center coordination program in order to improve trauma care on every level, and NCCH is proud to be part of the program. NCCH is a Pediatric Emergency Prepared Emergency Care Certified Facility. This means that we are prepared to receive and treat pediatric emergencies. NCCH was the first Critical Access Hospital to receive this certification in 2015. Now there are certified facilities all over the state. NCCH is proud of the strides we have made to expand our ability to provide much needed emergency care to the residents of Northeastern Cochise County. 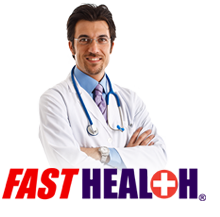 NCCH is also a Stroke Ready Center that has the ability to start life-saving measures in time-sensitive situations. We work closely with the Stroke Centers in Tucson to ensure our patients receive up-to-date care when time makes a difference. Our nurses and physicians treat all types of injuries and illnesses in the emergency room. We also treat patients of all ages. Patients with severe and multiple injuries are stabilized and, if necessary, can be transported to receive additional attention and support. Ambulance services are vital in emergency situations. Healthcare Innovations and Sunsites Pearce Fire District are available 24/7 and cover all areas throughout Northern Cochise County. If you encounter an emergency, contact your local authorities by dialing 911. "Hello, I'm Barbara Niehm. 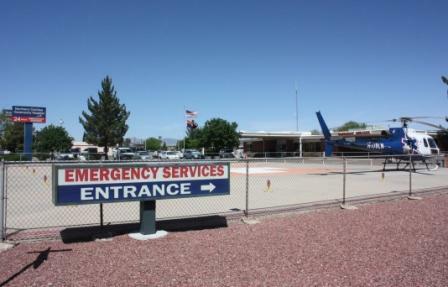 I was a patient in the emergency department of Northern Cochise Community Hospital. I wanted to tell the community that the staff was very professional, kind and friendly and I felt I was well taken care of. If you find yourself in need of emergency care, I highly recommend Northern Cochise Community Hospital." "Hello, I'm Gary Hatch. I was recently in need of emergency care. I was rushed right in and noticed right away that I knew everyone there. The staff was professional and responsive to my needs. I felt like I was a part of their family and their concern for my well being was heartfelt. I don't feel I could have received better emergency care anywhere else. I would absolutely recommend Northern Cochise Community Hospital."